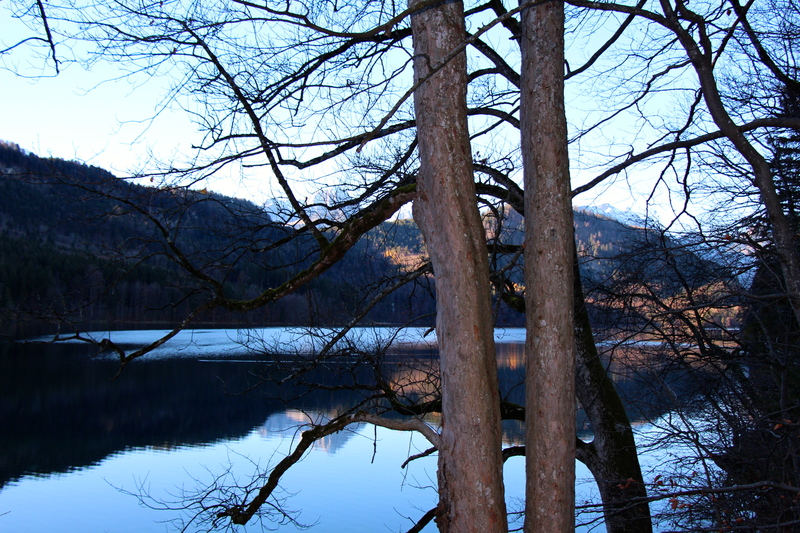 A lake in Schwangau, with water clearer than clear, and reflections sharper than sharp! 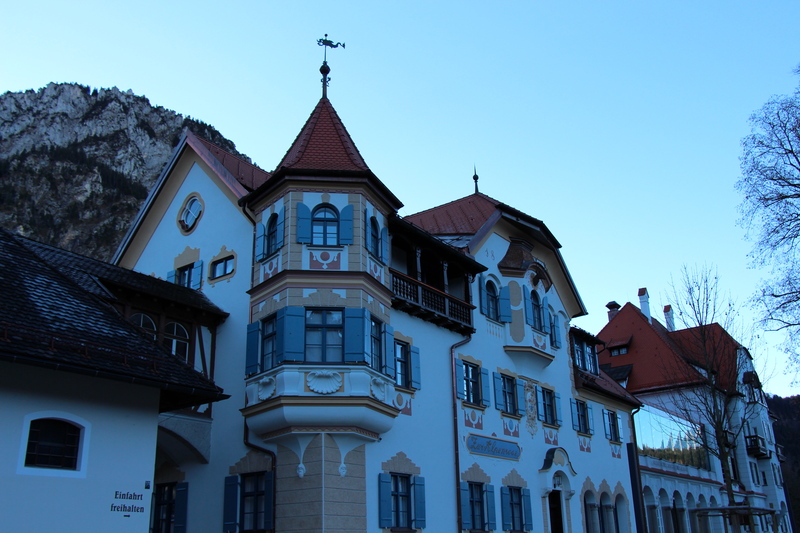 We got to our hotel (a really cute family run inn midway between Hohenschwangau (the original hunting palace of the royal family of Bavaria) and Neuschwanstein (the castle that the castle in Disney theme parks is supposedly modeled after) close to 9pm on Friday night. 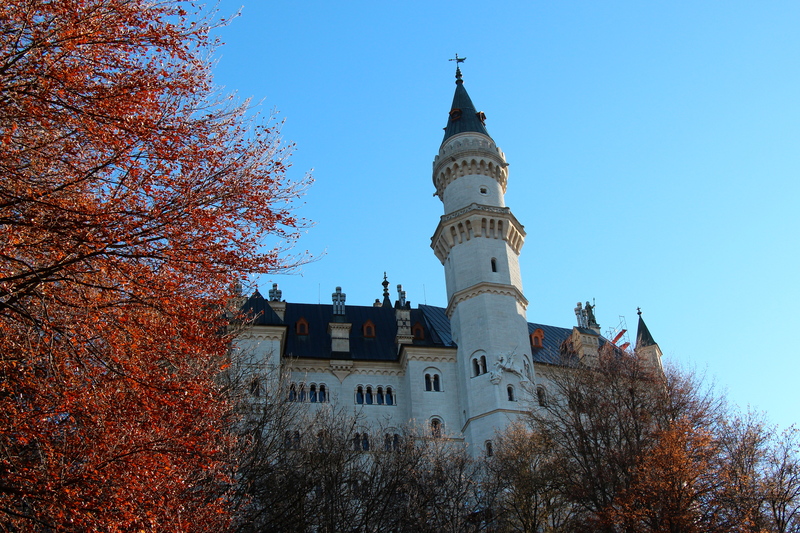 Especially in small towns in rural Germany, this is very late… We decided just to check out what the castles look like at night (and they are gorgeous), but what was breathtaking was the sky! The same sky that each one of us looks upon, but here? Touched with fairy dust… Truly, I’ve never seen a sky that pretty before. We tramped out into the middle of an ice/snow/frost covered field, just under the shadows of mountains, and I saw galaxies, stars, and planets in a way that I have never even imagined before. We have a great camera, but even it does not do justice to the magnificence of this field. I have been hiking, I have been to the mountains, I have been where the sky was supposed to be unfettered by urban interference, but I have never seen anything like this. I was freezing, don’t get me wrong (did I mention that I was standing in a snow/ice/frost covered field at night and it was negative something unmentionable?? ), but the shivers I had were in no relation to the cold I felt. I was a witness to a miracle. 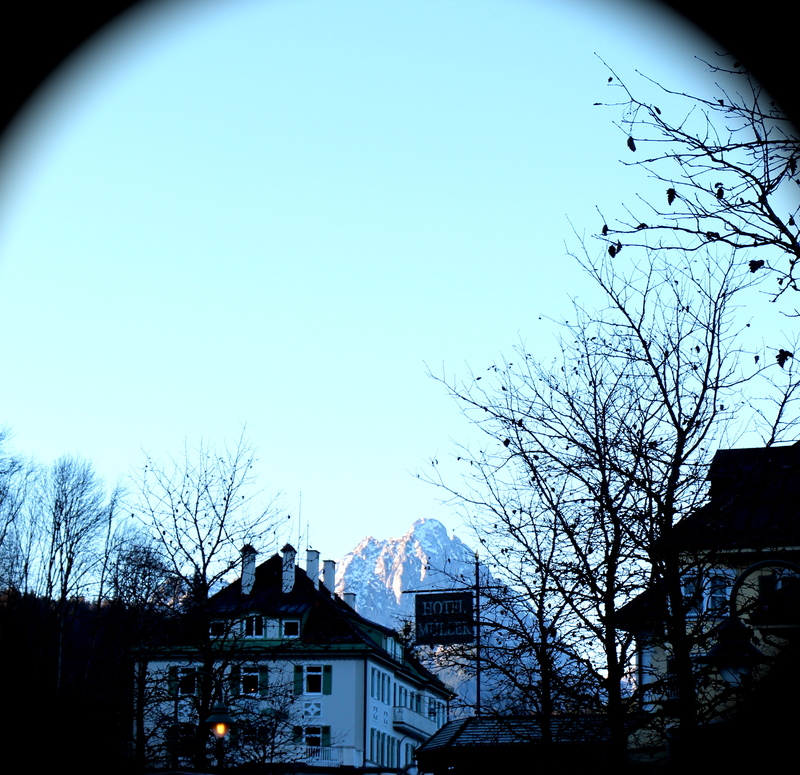 Walking through Schwangau, both beside and towards the mountains. The streets cape near the ticket office for the castles. So German and so adorable! 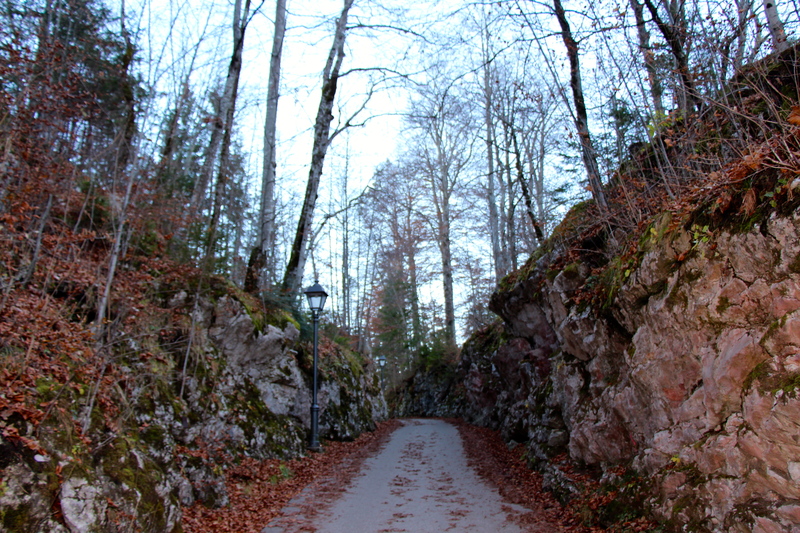 Along the walk to Hohenschwangau… So pretty I could hardly stand it! 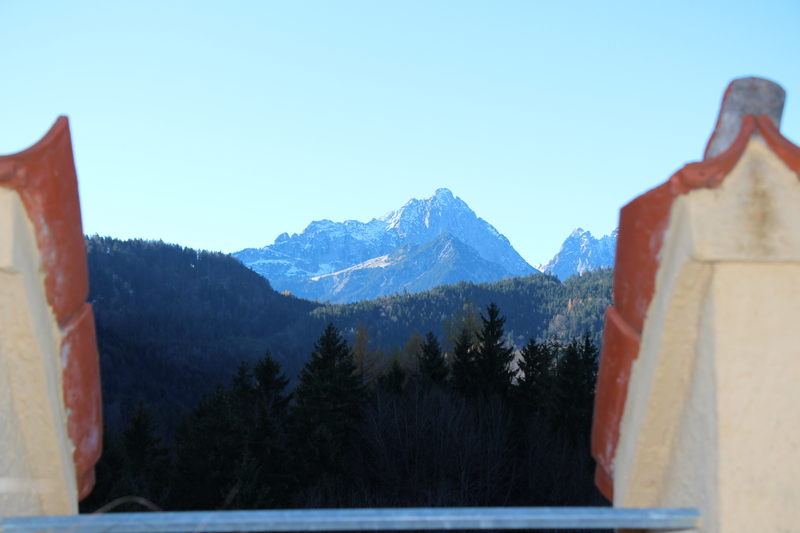 There is a walk from the town up to the 1st castle that is about 30 minutes or so… It was brisk, but quite beautiful! 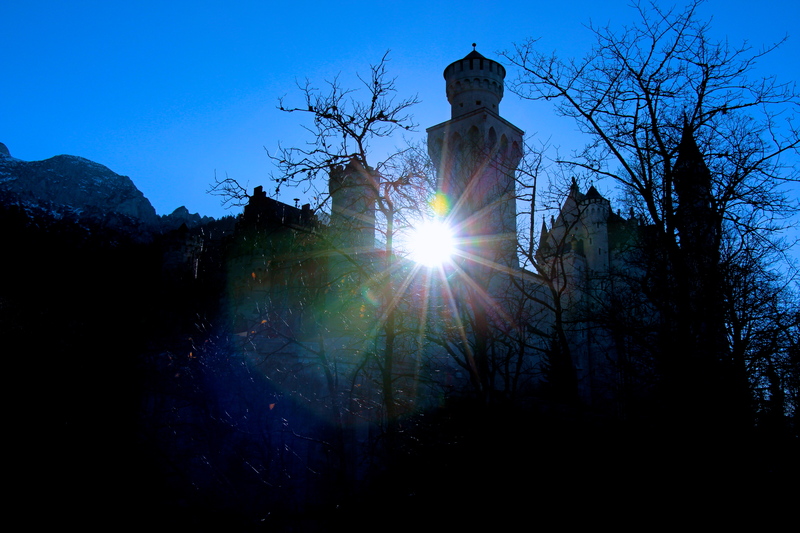 The first, and oldest castle, Hohenschwangau. Mike and I laughed a bit at breakfast, as the inn keeper explained to a fellow tourist that people see this castle first. 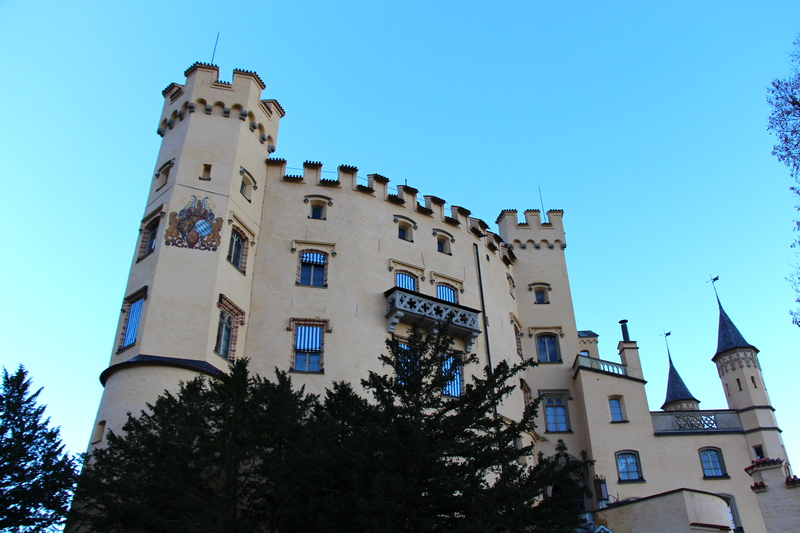 It is incredibly German to have an order to things, and one would never veer from the appointed order of things, so Hohenschwangau is the first order of business (it is the older of the two castles, thus one would naturally see the older one first)! 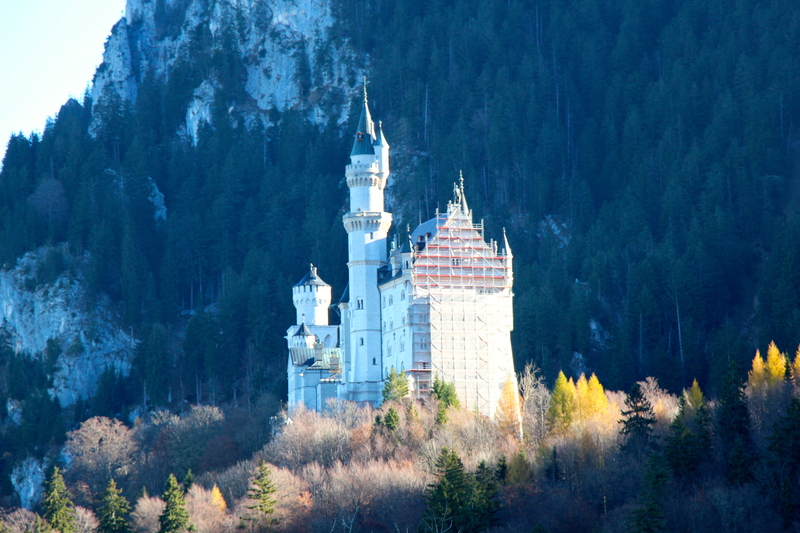 Neuschwanstein, from Hohenschwangau. 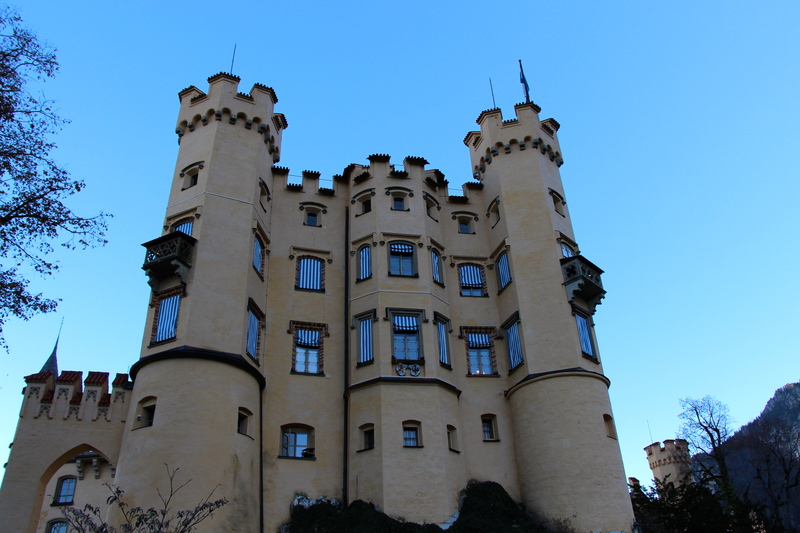 Ludwig II, who is probably the most famous of the Bavarian Royals, was having this castle built (1869-1886) so that he could have a castle like they had in the medieval days. He was very shy, and wanted to have a retreat from the other castle. He once said, “I want to remain an eternal mystery to myself and others,” and I think it is safe to say that he accomplished this goal completely. He even died mysteriously! He was found drowned (with his doctor) after a coup had him locked up in a mental institution… The castle, which has been very well visited, was never finished on account of his death. 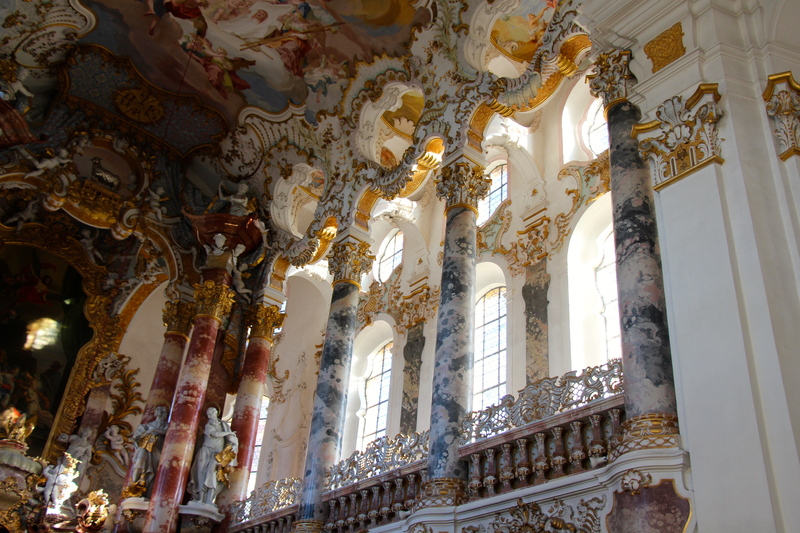 The scaffolding, however, is only part of the restoration; it wasn’t left there in the 1800s! So beautiful! The King’s dreams and his reality were often not aligned, and after he was defeated in “The German War,” and his policies were really sent down from Prussia, he set out to build more castle than he really had the resources to do so. It was a squabble with the banks that supposedly caused him to be deposed and sent to the mental institution, where he died. 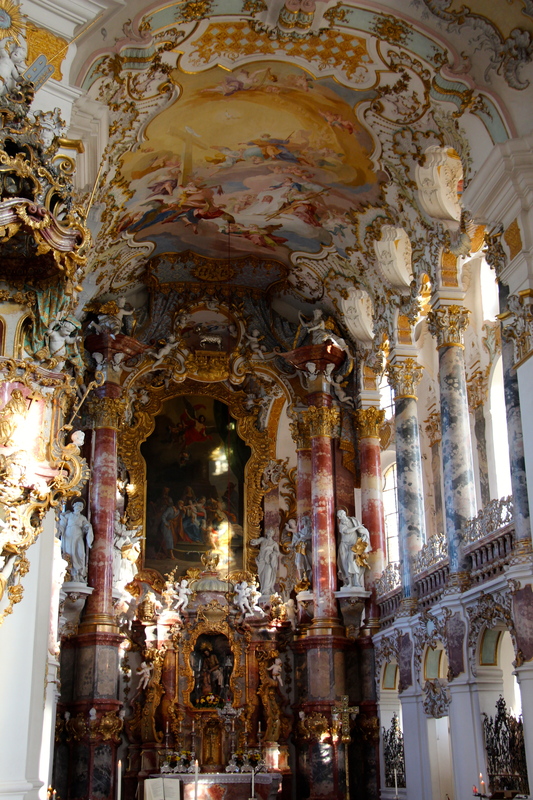 “Hoc loco habitat fortuna, hic quiescit cor.” (In this place abideth happiness; here the heart finds peace.) This is a quote from the builder about this magnificent place. Throughout all of its magnificence, there is a strong spiritual quiet that speaks more loudly than any of the bright colors. Just to put this in perspective… at this point in our picture-taking, we haven’t even been on vacation for 24 hours yet! CAN YOU IMAGINE?!? 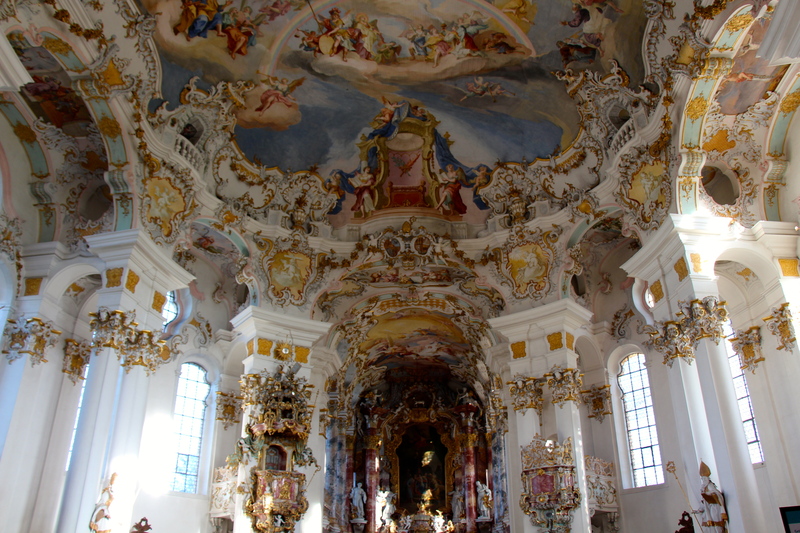 This entry was posted in History, Traveling and tagged Bavaria, Fussen, Germany, Hohenschwangau, Ludwig II of Bavaria, Neuschwanstein, Richard Wagner, Rococo, Romantic Road, Steingaden, Wies Church. Bookmark the permalink. 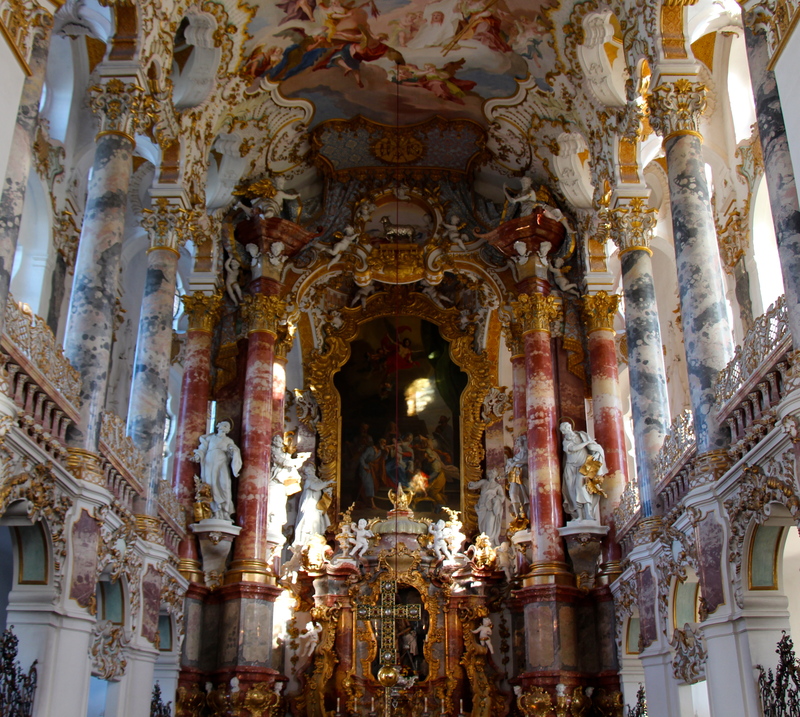 I am also struck by two views — the sky that is nature’s magnificence and the man-made magnificence of the church. Is the statue still in existence? Love that area!! Our hotel room was directly across from the smaller castle. And we went to the church too. It was so over the top, and certainly memorable! Funny thing– every picture I have of the larger castle has the castle tilted. Very weird.